The Frequency Central Wave Runner is a multi-waveform tempo-synced LFO based on the Electric Druid TAPLFO2D family of code, but with some significant additions and improvements. The TAPLFO2D-FC PIC and code is exclusive to Frequency Central and was developed specifically for the Wave Runner. 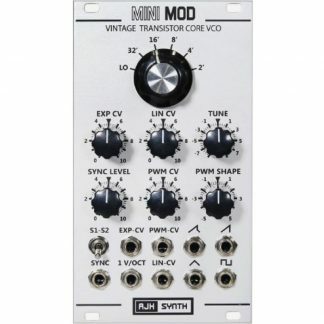 Distortion of the cyclic waveforms – this get you control over the Noise frequency, as well as bit-crushing of the S/H down to 1 bit for random triggers. The tap Sync input will allow you to sync to an external clock source. Wave Runner measures the last two incoming pulses and syncs itself to these. 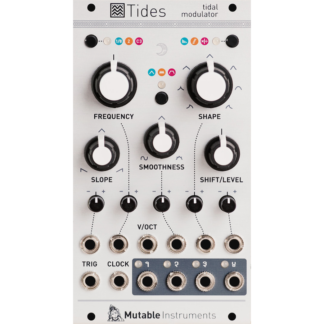 The Multiply knob allows for Wave Runner to run at x0.5, x1, x1.5, x2, x3 and x4 of the incoming sync pulse. The range of available frequencies goes from stupid slow (0.025Hz) into low audio range (50Hz). 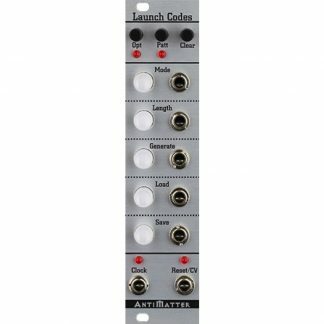 The latest version also features Level CV input – essentially a bundled VCA – to control the absolute output level of the LFO.